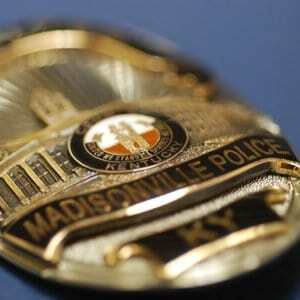 A $9,425.00 grant from the KY Office of Homeland Security will help the Madisonville Police Department (MPD) purchase Body Armor Vests for the Police Force. The grant funds are awarded under the Law Enforcement Protection Grant Program, a state-funded program financed from the sale of confiscated weapons taken by law enforcement personnel from a variety of criminal cases. 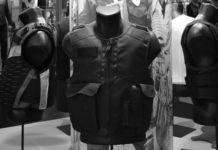 According to the National Institute of Justice (NIJ), more than 3,000 law enforcement officers’ lives have been saved by the presence of body armor vests since the mid-70’s. It was in those days when the NIJ originally began delving into the concept of body armor that would defend against bullet and stabbing attacks. “This grant will allow our Police Dept. to purchase 13 Body Armor Vests for the safety of the men and women who serve and protect the citizens of Madisonville,” said Community Development Director Daron Jordan. Jordan went on to explain that the Body Armor Vests are usually good for up to 5 years. 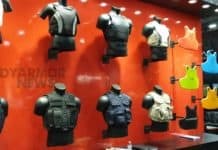 He also stated that the vests the city is purchasing will “meet or exceed” the standards issued by the National Institute of Justice for body armor in general. Jordan announced that the city is extremely appreciative of Governor Steve Beshear and the Office of Homeland Security for awarding the funds to the MPD.